Magic and the Mind | Sarah Explains! Magic tricks sometimes work purely based on gimmicks, but more often than not they work by exploiting the way we perceive and think about the world. 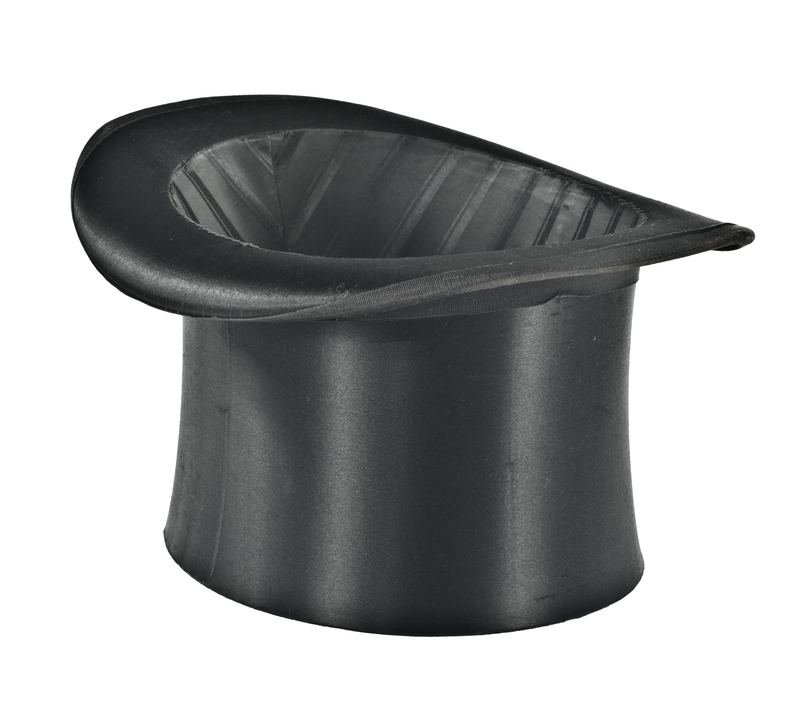 There’s a certain class of magic trick that relies on fancy equipment. It doesn’t have to be large-scale, but a box with a secret bottom, a series of angled mirrors, or a two-headed quarter can create impossible effects. The reason an audience doesn’t know how the trick works is because they don’t understand the setup—they don’t know that such a box exists, or that mirrors can make objects appear to float. These gimmick-based magic tricks are often easier to pull off. You buy the kit after seeing someone perform the trick, learn how it works (you have an “aha” moment when you see the inner mechanism and make the connection to the effect you saw in the store), practice a few times so you’re not too obvious when you push the hidden button, and you’re ready to go impress your younger cousins. But there’s another kind of magic trick—one that doesn’t use anything but ordinary objects, or at least requires substantial manipulation of normal objects along with a trick object. The audience doesn’t know how the trick works, not because they don’t understand the equipment, but because they don’t understand how to watch it. You might still use a two-headed quarter, sure, but you switch it imperceptibly with a real quarter for the audience to inspect. You pull the ball out of the box before closing it while still acting entirely convinced that it’s inside. When we look out at the world, our eyes give us more information than we can process at once—so we need to rely on contextual cues to know where to look and what to pay attention to. We look where others are looking: you can control the eye of the audience by looking towards one hand while quickly grabbing something with the other, for example. If you pretend to throw a ball in the air and follow the trajectory up with your eyes, the audience is more likely to do the same, and actually believe that you—and they—saw the ball flying up. Similarly, you can hide the essential part of the trick by doing it at an insignificant moment, or during a joke—saving the dramatic “magic” step for after the tricky part’s already done. That way, when the audience gets ready to catch a trick, there’s nothing more to see but the stunning conclusion. Magicians also manipulate attention by putting unusual movements into a common context. If you reach behind your neck to secretly drop a quarter down the back of your shirt, the audience will surely notice something’s up. Disguise the movement as scratching your neck, or adjusting glasses, and they won’t notice anything amiss—because the movement had an apparent motivation, they won’t think about any hidden ones. In fact, the audience will likely forget that the motion happened entirely, since it’s deemed unimportant to the experience—making the trick even harder to figure out from memory. Besides social cues, magicians can also manipulate the way audiences understand causal relationships. Making an audience member feel like she has a choice while actually forcing a specific outcome paints the audience member as the cause of a particular event, even if it was under the magician’s control all along. A huge flourish can seem to be the cause of a mysterious disappearance, when the magician surreptitiously moved the object earlier on. If a magician repeats a motion over and over, like throwing a ball in the air, the audience is inclined to relax and assume all the ball throws are identical—even if, in the last one, the magician doesn’t throw the ball at all. People often think that magic tricks work because magicians move faster than we can perceive—that the hand is faster than the eye. But there’s evidence that this isn’t the case at all. One study measured the eye movements of an observer at a performance of a trick involving a cigarette—the magician dropped the cigarette into his lap at a certain point before making it “disappear.” Whether the drop was made right in the center of the observer’s vision or off to the side, from far above the table or right next to it, the observer was no more likely to notice the drop, and no change in their eye movements was observed. Magic tricks, then, are more like the studies in inattention showcased in this video—I don’t want to spoil it for those who haven’t seen (go watch it now, don’t read the video description! ), but suffice it to say that most people miss an obvious element of this video because they’re busy focusing on the details. Of course, many of these effects fall apart if repeated—that’s why a magician never repeats a trick the same way for the same audience. Once an observer knows the basic gist of the trick, he’s much more likely to let his eyes and attention wander, unafraid of missing the key movements. Magicians can even exploit this tendency: if they do the same trick in a different way, the magician can disprove the suspected mechanism of a trick (while introducing another one they’re not prepared to notice). Once observers think they know what’s going on, they’re likely to see what they expect. Even an audience at a magic show—on the lookout for a trick—can be manipulated into paying attention at the wrong times and to the wrong things. Magicians have made a science of understanding the shortcuts we use to process the world around us. A magician never reveals his secrets, but magic tricks themselves reveal the secrets of how we understand a dynamic world. Here’s a card trick that showcases some of the ideas in this post (you’ll see which). Here’s just a hilariously awesome card trick. And here’s a paper in Nature that goes through many of the elements I covered. See you next week for science news! This entry was posted in What/How and tagged inattention, magic trick, misdirection, psychology. Bookmark the permalink.